HOW OFTEN YOU CHANGE YOUR OIL AND WHAT TYPE OF OIL YOU USE ARE CRITICAL TO THE HEALTH OF YOUR VEHICLE…. THE MOST CONVENIENT, LEAST EXPENSIVE AND FASTEST WAY TO WASH. Highly qualified technical personnel and sales consultants are happy to help choose the right goods and provide with high quality service. We are the official distributor of top brands in the automotive trading industry, namely service equipment of spare parts. As of today we have the competence to supply the market with goods from every angle of the globe. The availability of offices and warehouses in every region and in each of big cities allows us to provide any point of the country with goods. Autoservices and spare parts shopping centers. IT IS KNOWN AS A LEADING COMPANY ON WHOLESALE AND RETAIL SALE OF SPARE PARTS, IMPORTANT PART OF AUTOMOBILE SECTOR, AND RELATED SERVICES, CONSIDERING OUR WORLDWIDE TRADEMARKS AND SERVICES, CUSTOMERS, QUALIFIED PERSONNEL, INNOVATION AND EFFECTIVENESS. 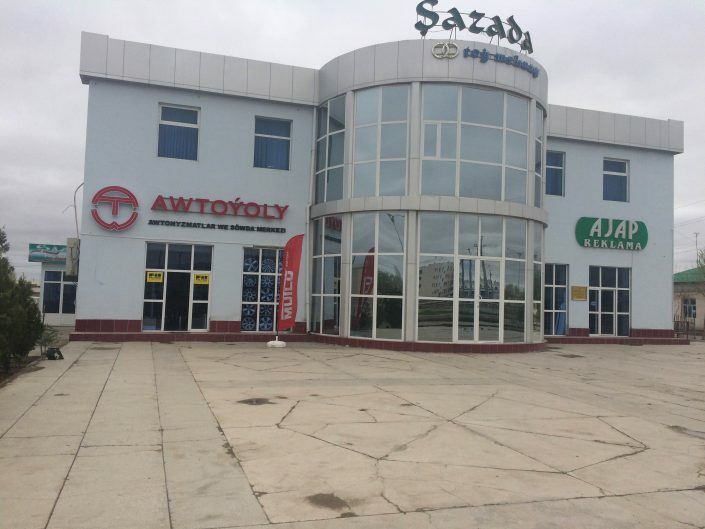 INTRODUCES AND DELIVERS TOP QUALITY PRODUCTS AND SERVICES TO CUSTOMERS IN AUTOMOBILE SECTOR OF TURKMENISTAN. “AWTOYOLY” E.S. IS KNOWN AS AN OFFICIAL DISTRIBUTOR OF TRADEMARKS FAMOUS AROUND THE WORLD AND OFFERS ITS CUSTOMERS TOP QUALITY PRODUCTS IN OBTAINABLE PRICE. 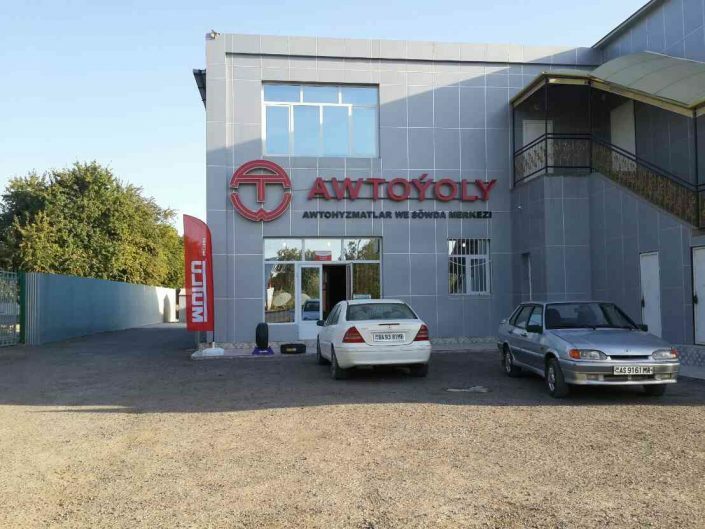 “AWTOYOLY” Auto service center offers its customers changing of engine oil, vulcanization, balancing, wheel camber, accumulator, running gear, car wash and tuning services. If you want top quality and fast service contact our qualified staff. Our experienced personnel has been serving our customers for many years. We use premium quality equipment and tools. We do our job on time and return them to customers in excellent condition.